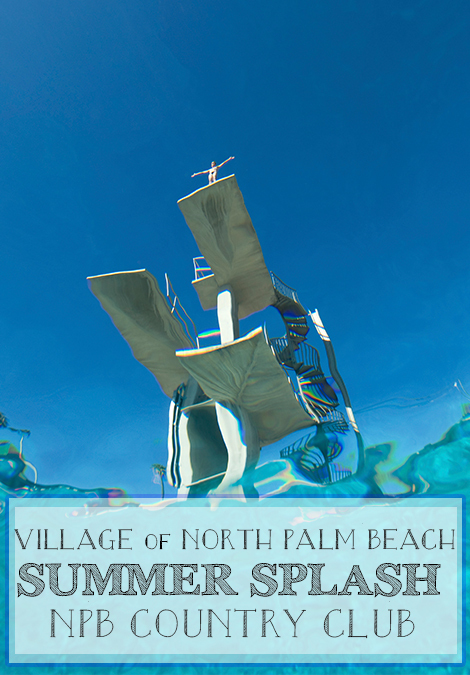 The Perfect Place to Make a Splash in North Palm Beach! Monday, April 18th, 2016 at 3:12pm. The North Palm Beach Country Club and Pool in the village of North Palm Beach is one of the favorite summer destinations for kids and adults of Palm Beach County. The L shaped pool features 6, 50-meter lanes, 6 25-meter lanes, and a deep pool for the diving board. There are also 3 kiddie pools, a snack bar, a pro shop with apparel and gear, locker rooms and a picnic area. You may also rent the Tiki huts for private parties.